Benedict Cumberbatch insists he is not in 'Star Wars: The Force Awakens' trailer. The 38-year-old film star has laughed off claims that he is the mysterious voice behind the most recent trailer for the highly-anticipated science fiction film. Benedict confirmed: "I am not the voice of the 'Star Wars' trailer, nor am I the hooded character with the rather cool new lightsaber." When asked if he featured in the space opera at all, the 'Sherlock' star simply told the Radio Times website: "No." Instead, it is thought that 'Lord of the Rings' actor Andy Serkis is the man behind "the hood". According to the website HitFix, the 50-year-old star is set to play a "pivotal role" in the latest 'Star Wars' flick. The source shared: "He's playing a pivotal role in the film, although he will not have a lot of screen time." 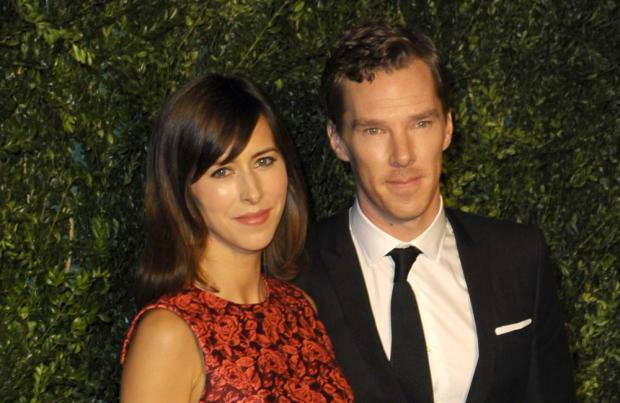 Despite his assertion that he doesn't feature in 'Star Wars' Benedict - who recently got engaged to his long-term girlfriend Sophie Hunter, 36 - remained humble when questioned about the award buzz surrounding his new film 'The Imitation Game' as he insisted he was simply "excited" to have more people hear about his character Alan Turing's legacy as a World War II code breaker. He shared: "[I am] thrilled for the film and, you know, any kind of buzz around it, for any other reason, is just [...] people being intrigued to see the film. "That's really exciting for me, because the only thing that matters is that his story and the legacy of his name is brought to a wider audience and that seems to be happening."